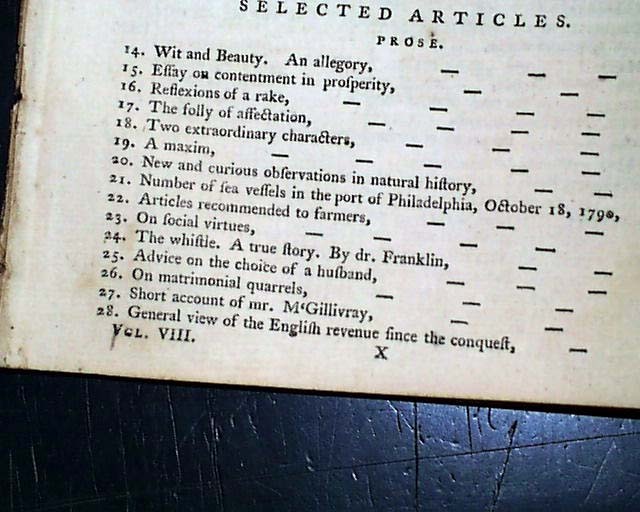 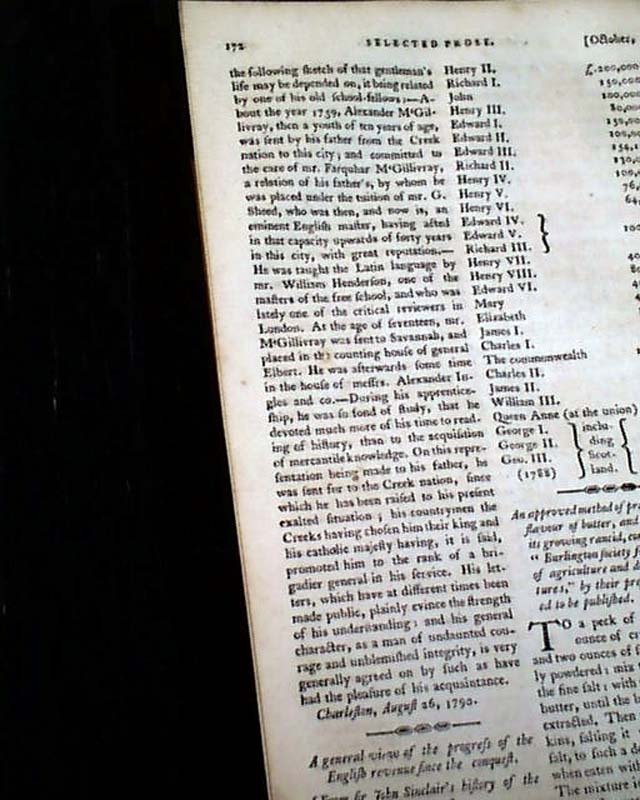 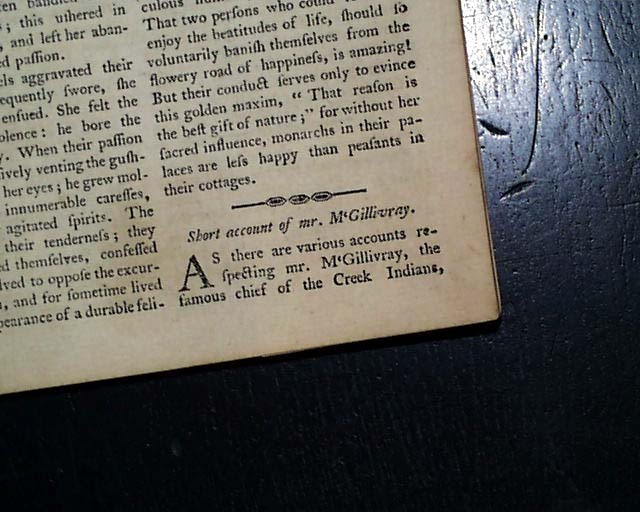 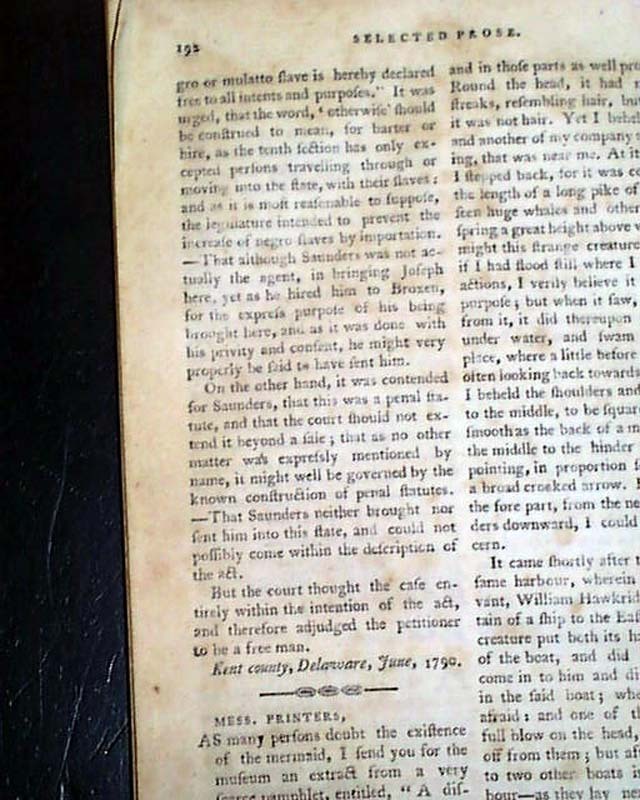 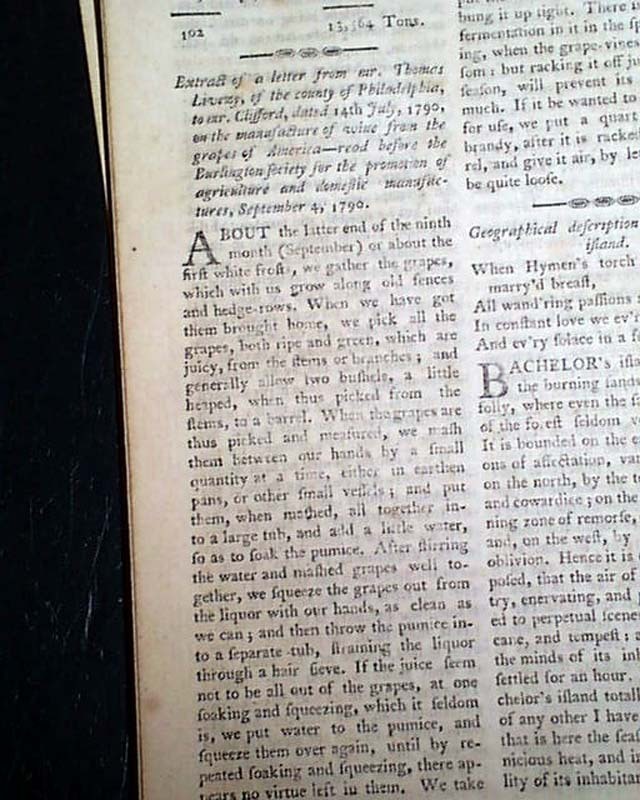 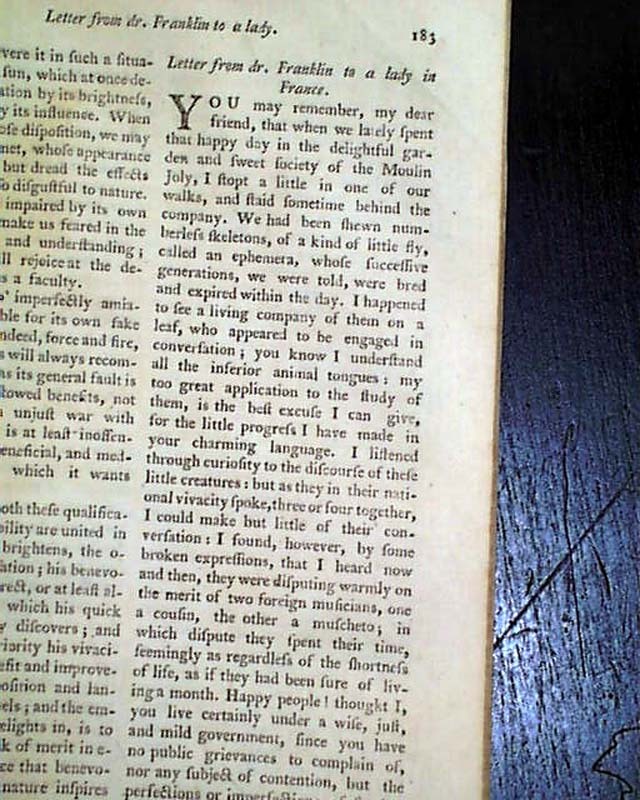 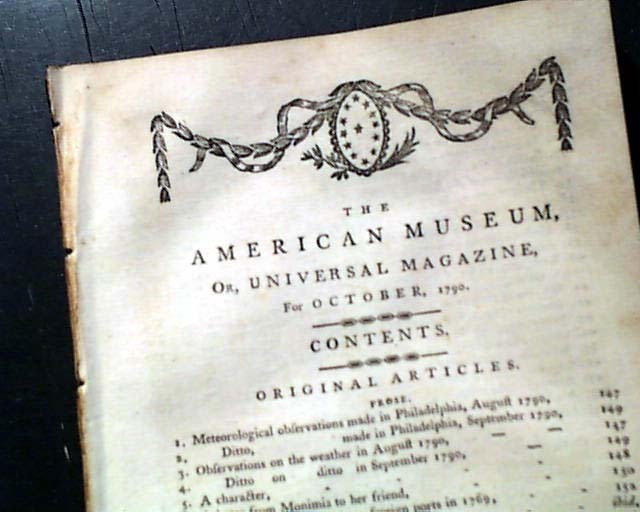 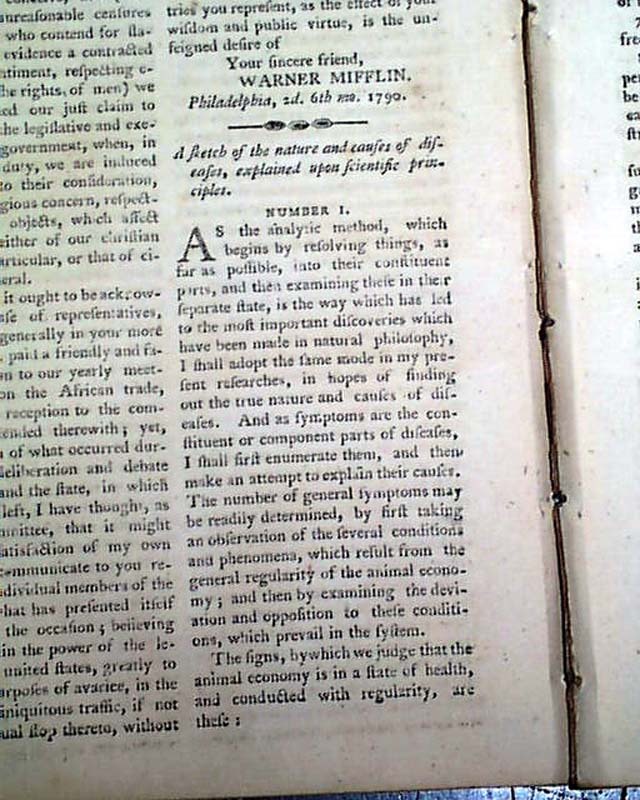 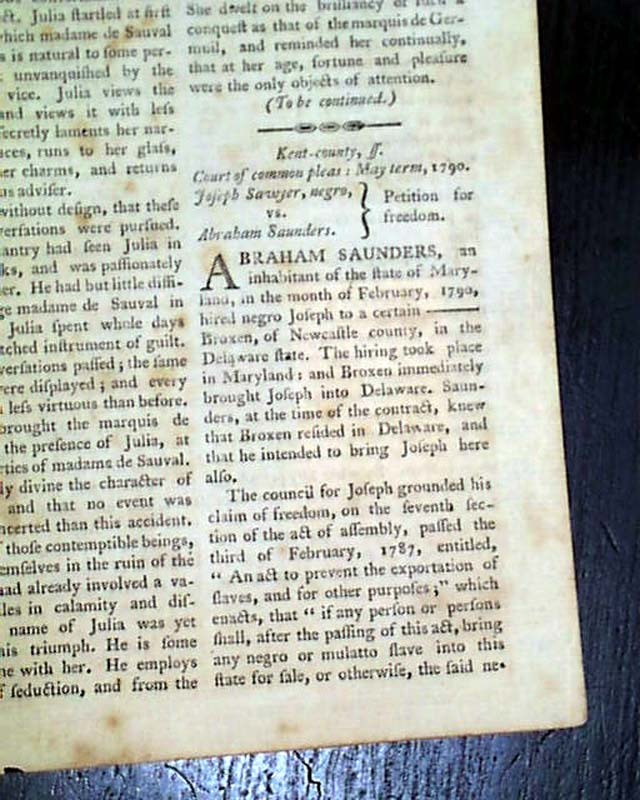 Item # 647337 THE AMERICAN MUSEUM, Philadelphia, October, 1790 This title, along with the "Columbian Magazine", has the honor of being the first successful American magazine, both published in Philadelphia. 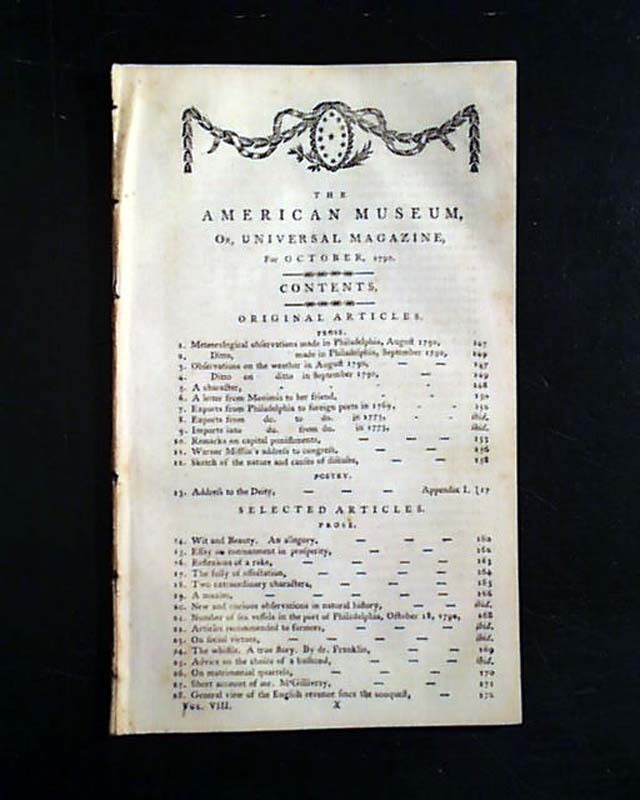 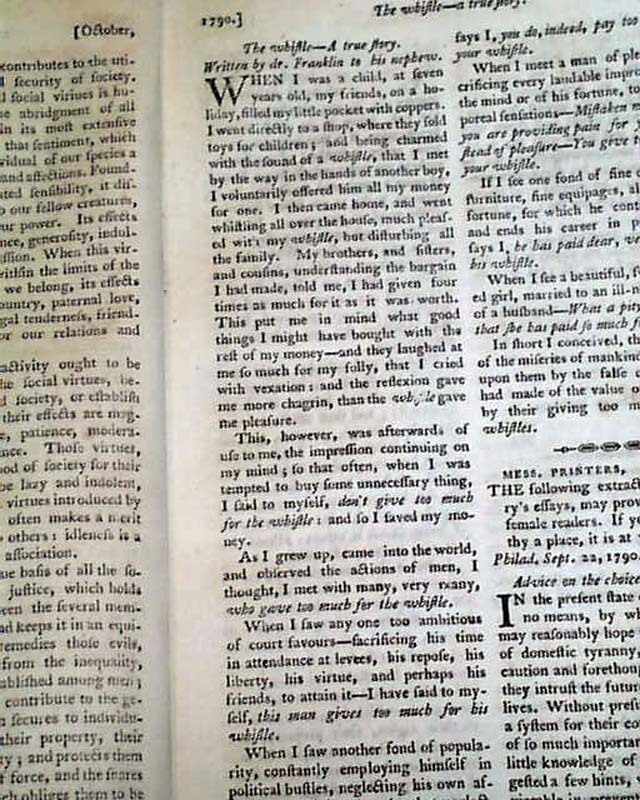 The Museum was published by Mathew Carey and existed from January, 1787 thru the end of 1792. 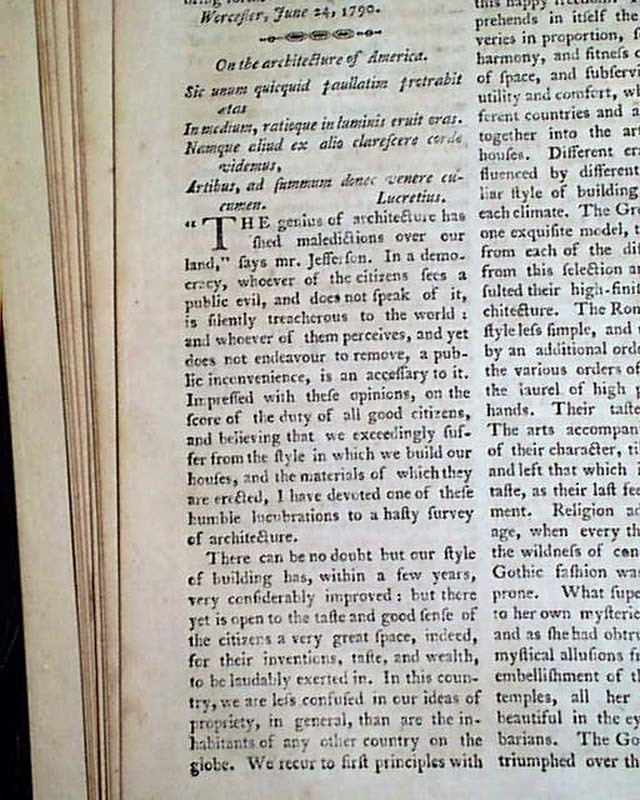 Articles include: "Remarks on Capital Punishment" "Sketch of the Nature & Causes of Diseases" "Short Account of Mr. McGillivray" who was the famous chief of the Creek Indians; "On the Architecture of America" "Letter from Dr. Franklin to a Lady in France"
Complete in 48 pages, 5 by 8 inches, disbound with full title/contents page, nice condition.